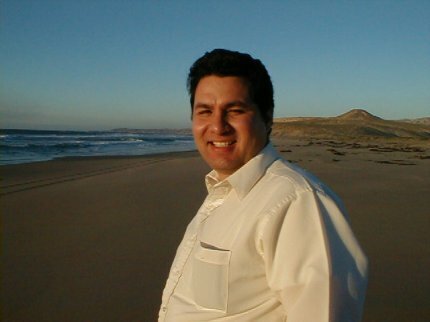 future location of a water desalinization plant for the Diamante Del Mar development. 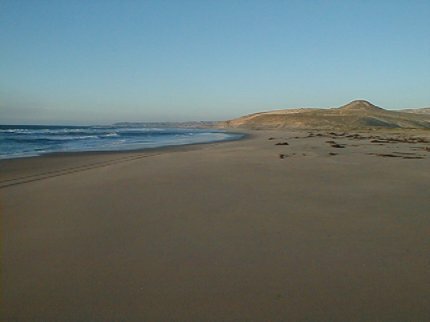 At beautiful La Bocana beach, just four miles down the valley from El Rosario. 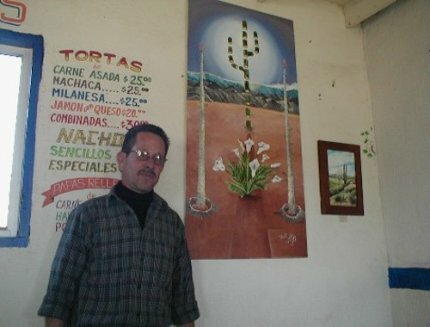 El Rosario's very talented artist runs the Mision cafe on the east side of town. 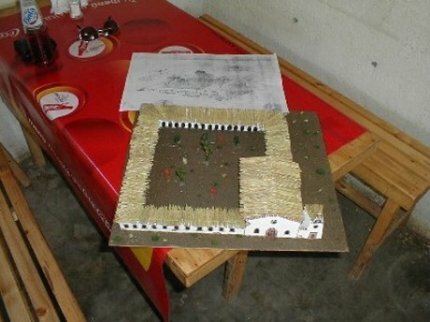 Hugo is making a model of the mission from a sketch (behind the model). 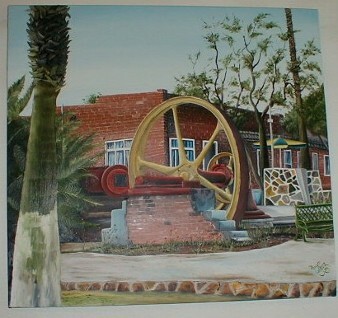 Hugo's painting of the Old Mill at San Quintin hangs in Room 201 at Baja Cactus. 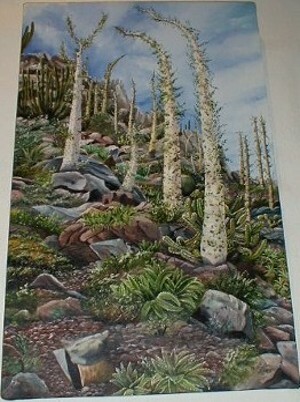 Hugo's Baja desert scene with boojums (cirios) hangs in the motel lobby.